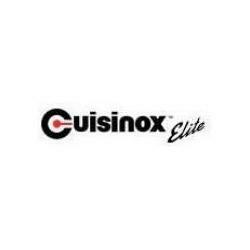 The Cuisinox Wide Spatula is the perfect tool for flipping pancakes, omelets, fish, and other larger food items. The spatula's thin blade allows for easy access under food, without damaging it. Its straight edges allow for quick cutting or separating of foods. The wide spatula is made from 18/10 stainless steel with a food-safe nylon head. The spatula features a hollow handle with a hanging loop for easy storage. The head has a generous width of 16cm / 6.3 inches. 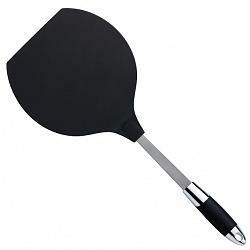 The large spatula is heat resistant up to 400F and its rubber handle provides a comfortable and safe grip.